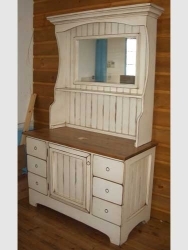 Unpainted vanity, wooden buttons, rat tail hinges, made of solid pine. 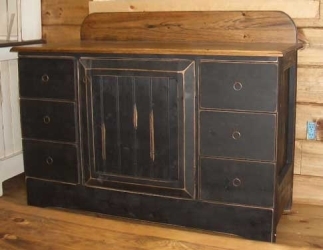 Modèle en pin massif de 2 portes et tiroirs avec boutons fait de bois. 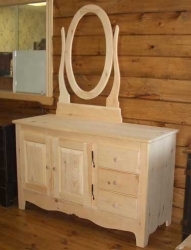 Solid pine vanity, model 1 door and 6 drawers, hutch and square mirror included, metal handles and hinges. 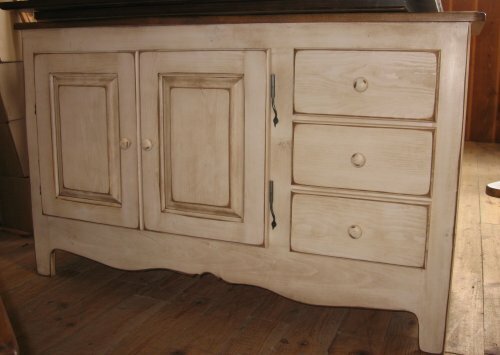 Solid pine vanity, rustic 1 "pine top, 2 door model, handles. 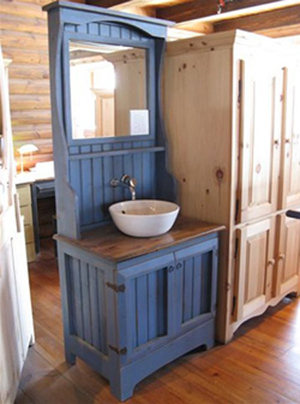 Solid pine vanity, 1 "rustic pine top, model with 1 door and 6 drawers, metal handles and hinges. 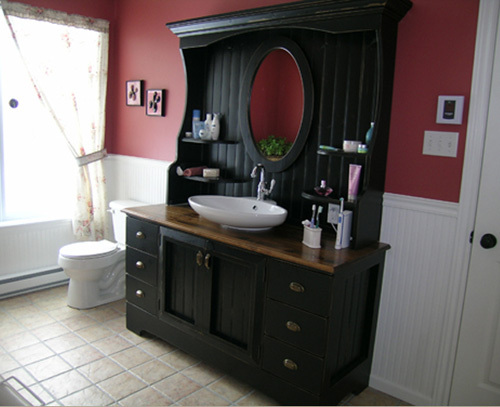 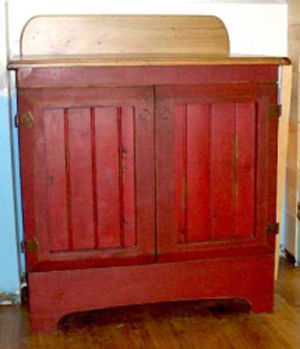 1 door and 3 drawers (left or right), hutch and square mirror included, half-moon handles.